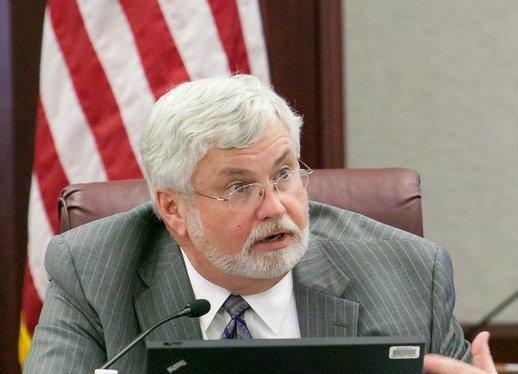 Two investigations substantiated allegations that state Senator Jack Latvala groped women and made sexually aggressive comments toward them. There is also evidence he offered to trade sexual favors for votes, which the Special Master’s report notes could amount to public corruption, a criminal charge. The state senate has handed over its findings and Florida Department of Law Enforcement spokeswoman Gretl Plessinger says her office has the capacity to investigate the matter further. In his resignation letter Latvala criticizes investigators for taking the word of accusers over his own and says he’s been steadfast in promoting women professionally. In a November interview with Spectrum-Bay News 9’s Political Connections show, Latvala fiercely maintained he has done nothing wrong. Attorney Steven Andrews says Latvala chose to resign not because of guilt, but because the investigations were becoming a distraction to the legislature. "He realized that if we continued to challenge this, it would be disruptive to the state of Florida, and would have interfered with the job the senate would do during the upcoming session," Andrews said. "If he’s expelled he’ll be one of the first sitting members of the legislature expelled in who knows how long. Decades," Corcoran said during an interview with C-Span’s Washington Journal. 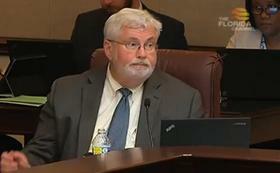 Wednesday Scott along with attorney general Palm Bondi formally called for Latvala’s resignation making him the third state senator to step down this year. Frank Artilies of Miami left in May after making racist statements to two African American lawmakers and disparaging Senate President Joe Negron. Democrat Jeff Clemens resigned in November after Politico Florida reported he had an affair with a lobbyist, and Politico Florida was also first to report the allegations against Latvala. An investigation into a Florida state senator accused of groping a single woman uncovered another witness who said he routinely touched her in a sexual manner and offered to support legislation in exchange for sexual favors. Accusing Senator Jack Latvala of a “scorched-earth approach” to defame his accuser, a Democratic senator from Plantation lodged a new formal complaint against the Clearwater Republican, accusing him of violating Senate rules by attempting to intimidate witnesses in the sexual harassment investigation against him.